One of my co-workers complained about her face looking older. I was behind them two, as they were talking. The other co-worker was recommending a famous and supposed to be good kind of plastic surgeon. “It doesn’t matter what you do,” I exclaimed. “You can have it fixed but give it another few years and everything will sag again,” I jokingly said. People always look everywhere for happiness and fulfillment in everything. I was there once, too. When I worked so hard and thought I could be happy when I was earning more money. But in reality, it’s only God Who can satisfy all of our deepest needs. Especially the longings of our souls. We often forget to seek Him first. We are always after materialistic wants, forgetting that there is a much more important thing to pursue: that of spiritual things. God can meet all of our needs but He definitely wants us to pursue for spiritual things and there is no spiritual needs that He can’t meet. We all need that kind of surgery. Not of physical ones but of the spiritual kind. It’s only through Jesus Who is the Master Surgeon that can fix those ills deep inside. That is…if we allow Him to. 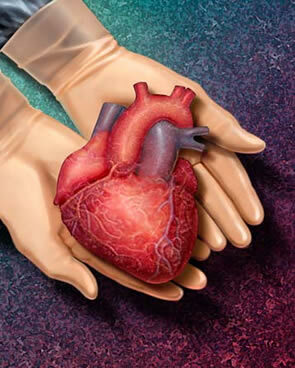 So, why don’t we all make an appointment to have the Surgeon give us a new heart? It’s free!